And the 2015 Caine Prize winner is… – African Book Addict! Its that time of year again! 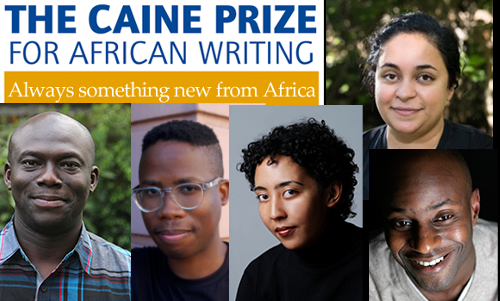 In about two weeks, the 2015 Caine Prize winner will be announced! Binyavanga Wainaina, from Kenya (2002)– founding editor of Kwani?, author of novel, One Day I Will Write About This Place and the essay “How To Write About Africa” found in various literary magazines. E.C Osondu, from Nigeria (2009) – author of the novel, Voice of America: stories. (The biographies for the shortlisted candidates can be found – here). To be honest, I was a bit disappointed that this year’s countries shortlist was more of a dichotomy between Nigeria and South Africa. I expected a more diverse pool of stories to enjoy. But hey! Its the stories that matter, right? I read Namwali Serpell’s story ‘The Sack‘, as it is one of the short stories in the Africa39 anthology that I own. I don’t know how I feel about her story…It’s a little confusing to me! From what I gather, the story is about the protagonist (I don’t know if this is a boy or girl) having nightmares about being killed, while the men he/she lives with use a young black orphan to go fishing and later debate whether the orphan should live with them or not. There also seems to be a feud between the men in the house, as one is elderly and seems to be sick and grumpy. Humph! If anyone has read the story and understands it, please do explain! 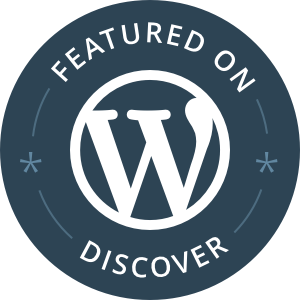 My favorite story so far is ‘Flying’ by Elnathan John. ‘Flying’ is how a short story should be: simple yet moving. The story is about Tachio – a JSS3 (9th grade) dorm leader of a refuge home/school, who believes he can fly once he falls asleep. This feeling of flying brings him peace and joy. He shares his joy of flying with his friend Samson, but is deemed mad. Once Tachio tells foul-mouthed Aunty Ketura, who is the founder of Kachiro Refuge Home, she appreciates his belief of flying and assumes Tachio was a bat, vulture or eagle in his past life. Since Tachio is the dorm leader, he frequently cleans Aunty Ketura’s office and later finds the drawer where she keeps all the records of the boys and girls in the home. Finding out that some of his friends were initially found near trash cans, in market places and in toilets, makes Tachio (who was born in a hospital) feel like he has an edge over his classmates who have no idea of their origins. The story ends with the sudden death of Aunty Ketura, which shocks the whole school, especially Tachio. But the strange presence of a big brown chicken with a limp on their school compound gives Tachio solace, as he believes Aunty Ketura has been incarnated into this bird. Elnathan’s use of metaphors in comparing human appearances to animals gave the story some spice. I mostly appreciated how readers can get the full scope of Tachio’s wavering feelings of being a dorm leader, wanting to be mischievous with his friends, to wanting to please Aunty Ketura, seeking advice and comfort from Aunty Ketura etc. I’m yet to read the last three stories on the shortlist, but ‘Flying’ is the most enjoyable story to me thus far. It’s simple, understandable and moving. The winner will be announced on the 6th of July at the Weston Library, Oxford, England. Good luck to all the shortlisted candidates! I’m so behind on my reading but I will try and read all the Caine stories before the announcement of the winner. Hmmm… ordinarily I’m wary of the human-animals metaphor thing but if you say so, I’ll approach it with an open mind! Hey Kinna :). I trust you will enjoy Elnathan’s story. It’s pretty decent. Segun Afolabi’s story had waay too many characters, and I couldn’t keep up :(. Pingback: Book Chat :: Do you lend your books? | African Book Addict! Pingback: And the 2016 Caine Prize winner is… | African Book Addict!